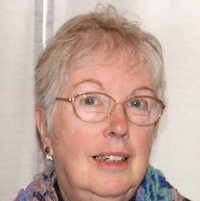 Kate Parker is touring with Great Escapes right now and is visiting several blogs with guest posts. Check out the schedule below my review to visit them. When I reviewed The Conspiring Woman at the end of 2015 I thought that was the final book in this fantastic series but author Kate Parker wasn’t quite done with these characters. As a reader I was thrilled to receive this book and visit these characters one last time. Georgia Fenchurch should be concentrating on her wedding plans as it is just 8 days away but when a young woman is attacked right before her eyes she can’t say no to one last investigation before she says “I Do”. Her friends are not happy but her groom, the Duke of Blackford, offers his assistance in hopes to wrap the investigation as quickly as possible. Instead people go missing and more bodies pile up. A missing treasure trove of gold seems to be what all the victims have in common. Can Georgia stay safe and find the killer and gold and still make it to the church on time?? As expected the author has given us quite an intriguing mystery. It starts in Egypt with a trunk that was supposed to be filled with gold coins, payment owed by Egyptian government to various European banks, turns out to be filled with nails. The gold had been stolen, Eugenie Munroe’s uncle has been killed, the man she traveled to London with, Mr. Burke, has gone missing, and another man has been murdered. Eugenie wants the man who killed her uncle brought to justice and it seems all the suspects have left Egypt for the cooler Summer of England. So Georgia and The Archivist Society are on the case. Ms. Parker takes us back in time as only she can. Her words paint wonderful pictures in your mind of Victorian England as we follow Georgia as she goes to society balls and social calls and investigates. I totally escaped into this one. I felt like I was on Georgia’s shoulder from the first page to the last. In addition to the characters we have come to love from the previous stories we are introduced a whole new contingent that arrives from Egypt, all the suspects. Some are eliminated because they are killed and Georgia is warned to stop asking questions. She doesn’t give up and as the story continues the tension ramps up to a scary and surprising conclusion. Do Georgia and Blackford tie the knot?? You are going to have to read the story yourself to find out. I have loved every book in this series. I recommend reading this series in order to follow the progression but they each can be read on their own. Kudos Kate, this is my favorite book in the series! With such a glowing review, I need to get these books. Thanks for this fascinating mystery which I would enjoy greatly. I so love this time period! I wish I had endless time to read! I am going to have to go get book one of this for sure. I like this series a lot and am glad to have “one more” adventure. Thanks for sharing–love to hear about other cozy series to check out! 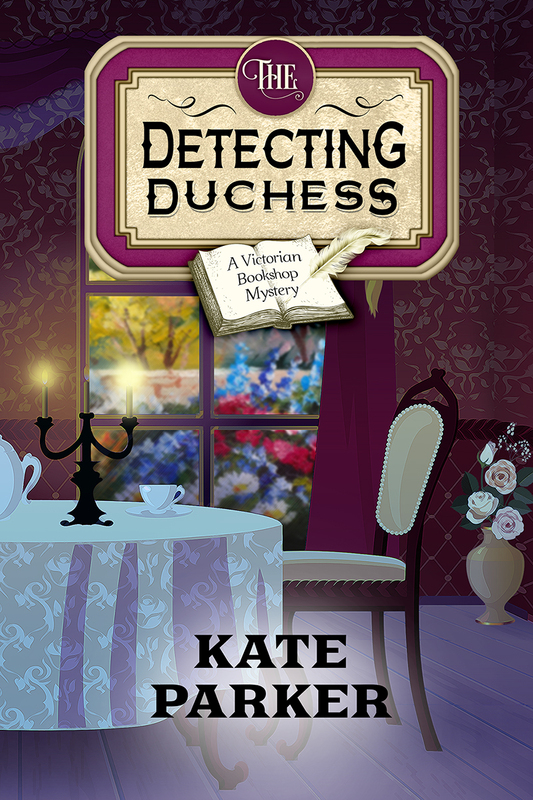 This series sounds wonderful, and I would love to read The Detecting Duchess. Thanks so much for the review and the giveaway! I have really enjoyed every book in this series. I am always eager to read the next one. I’m so glad she wrote this one to wrap up the series. New to me author and series! New author and series to me. I like the Victorian Bookshop setting. Adding the series to my TBR list. New author to me; I look forward to reading the series. I’ve read one book in this series & loved it. Thanks for the chance to win another. So happy to hear that this book can be read as a stand-alone. We haven’t gotten started on the series yet. Thanks for the chance to win it! I like a good historical mystery.